When you’re pulling together a dozen interesting ‘cupboard’ beers, it’s rather hard to resist including something from certain breweries. 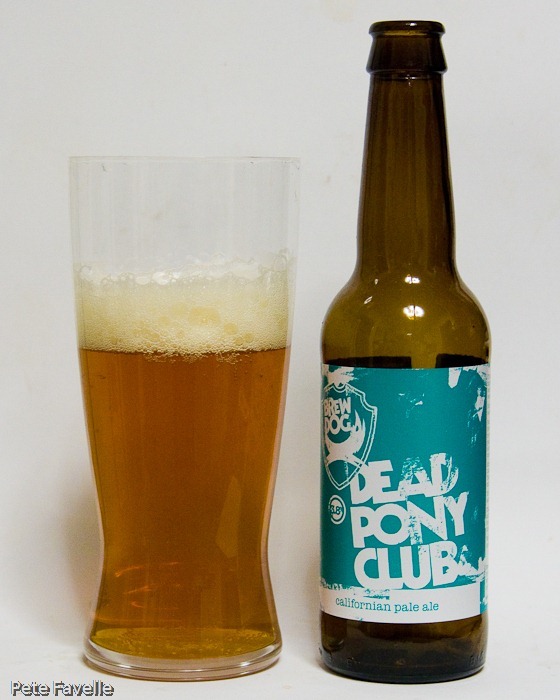 This is Brewdog’s Dead Pony Club, continuing their habit of giving their beers even sillier names than everyone else in an industry that, let’s face it, isn’t great with product names to start with. It’s a golden ale, with a fine bubbled foam on top. It’s dripping with hop aromas, a huge floral hit with grapefruit and honey – if I’d found a whole hop cone floating in it I wouldn’t have been surprised. This carries on in the flavour; a mouthful of bubbles quickly yields to big citrus fruit flavours, and then on to a growing bitter hop finish. 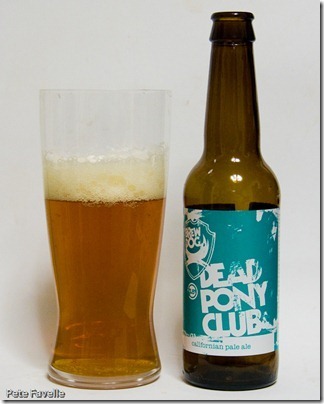 That finish is almost too dry, but then this is a Brewdog beer. It may only be 3.8% ABV but like it’s stable mates, it’s tasty and unsubtle.